How to become the exclusive graphic designer? Join us for the first ever video podcast. I had the pleasure of speaking with J. L. Pattison, author The Island. We had had a great time. So enjoy the conversation. Agent Sherard Parker never expected to get caught. His first reconnaissance mission with the DEA was supposed to be simple: infiltrate a small South Pacific island and gather intelligence about its involvement in the international drug trade. 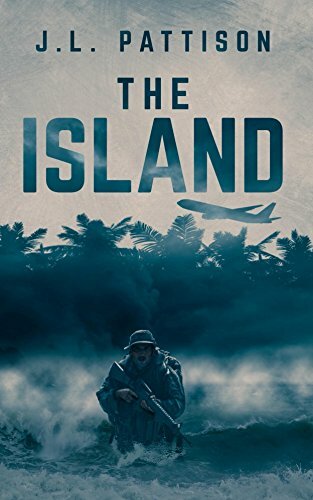 But when Parker stumbles upon a hidden airliner reportedly shot down weeks earlier—an act of terrorism that sparked a war—he realizes the island is more than just home to a major drug operation, it's also part of a conspiracy so evil it could lead to World War III. After being captured, Parker is forced to abandon his original mission for a far more important one: escape from the island and return to his family. Can Parker lead an eclectic band of prisoners in a daring life-or-death escape from their tropical prison, or will those in charge of protecting the island prevail, keeping its dark secrets forever?